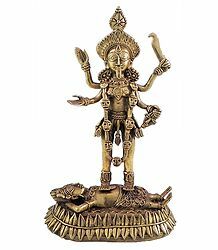 Dhokra is one of the earliest known methods of non-ferrous metal casting known to human civilization. 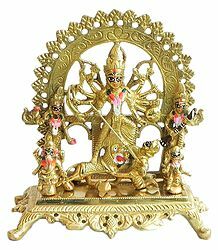 It was used for making everything from making jewelry to vessels to images of Gods and Goddesses. 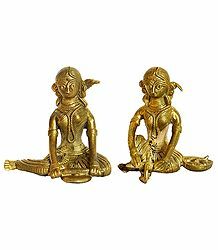 The few metal objects found in Mohenjadaro and Harappa have a very strong resemblance to the dhokra figures and objects created by craftsmen today. 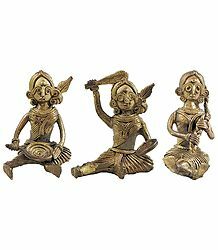 The tribal art of dhokra is an ancient process of producing metalware by the wax casting process. A wax pattern is made and then covered with a thick layer of clay keeping a hole on top. Molten metal is poured into the mould to replace wax layer. The cast is then taken out to give finishing touches. 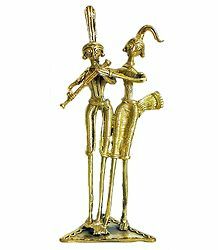 The traditional themes of these cast metal sculptures. 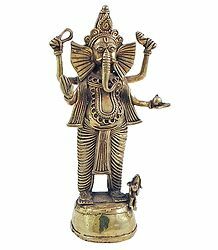 This Brass Dhokra (lost wax casting) item depicts a king riding a royal elephant made with intricate net design and is a good example of art from tribal India.